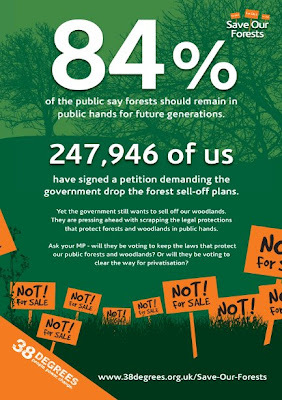 Wissy's blogspot: Save Our Forests - sign the petition. The British government plan to sell off hundreds of square miles of publicly owned forests in England to landowners and companies on 150 year leases.I don't want to get into politics. I'm apolitical but this subject is close to my heart. The government is being very clever. They are using spin and a charm offensive to say only commercial woodland not ancient woodland is being sold off to private commercial concerns. 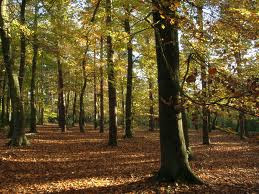 The worry is that the proposed sales would be unregulated and that the sold woods and forests would not remain open to walkers and riders or that the new owners would be able to charge for access or even turn some into housing estates. What is interesting is that the proposals only affects England, not Scotland, Wales or Northern Ireland. Funny that. If you feel as strongly as i do sign the petition here. Signed. I'm not sure Cameron will pay attention, but it's worth trying.